My first official beat tape, this is no Breakcore release, although it is a break from the core (pun intended), nope, just 100% Hip-Hop vibes on this one, this beat tape is for the ones who just want to relax in their living rooms, in their car, chilling out with friends, places where you can just unwind, blaze one down and reflect on yourself and smile about life. These tracks were made in the production process of the albums ‘Reformed’ & ‘Personal To Me’ coming out 2019! 2 of these beats are from the upcoming collaboration with me & Lil Orti Trum. A lot of my personal hip-hop influences came out in this release such as DJ Krush, Portishead, Evidence, Eric Lau, MF Doom, 2Late and the list goes on. 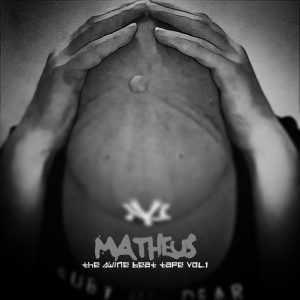 If you would like beats from me for your releases, hit me up at matheus.music.1@hotmail.com or Facebook me and add me!